I love this photo, Zita. It really does put thing - life - into perspective. Good on you! thanks for stopping by! I am guilty of focussing on what I don't have, its something I have been trying not to do. I love this picture. You are so right about surrounding yourself with negative people, it really does rub off! The quote is beautiful and inspiring. Maybe those negative people we are talking about should read it! Always the way though, the ones that need it take no notice! Like your poster or light bulb moment. Nothing better than when dreams turn into reality. I'm thankful for blog posts that remind you to count your blessings, thank you! Nice photo and nice message. 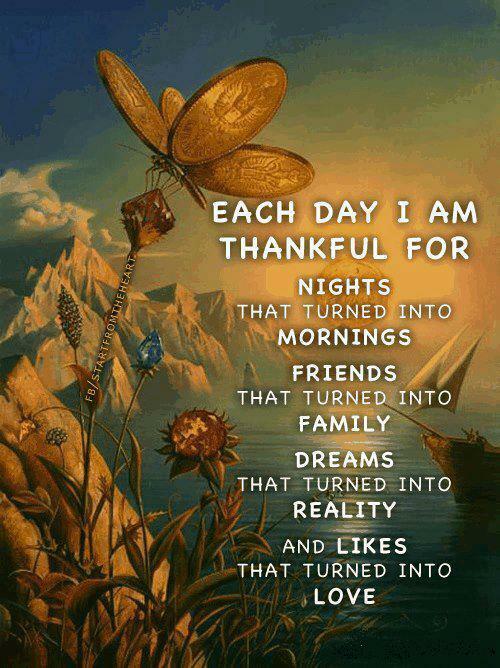 Love it...Thankful Thursday...but today it can be thankful Friday for FYBF. What a great post Zita. It all gets away from us at times and we focus on the thongs we hope will make it better instead of what we already have that can make us and others happy.